The file contains different projects Of which Residential buildings, residential buildings, residential buildings, residential buildings, schools, hospitals, villas, and many other projects that you may need as a professional student. The library is diverse and comprehensive. 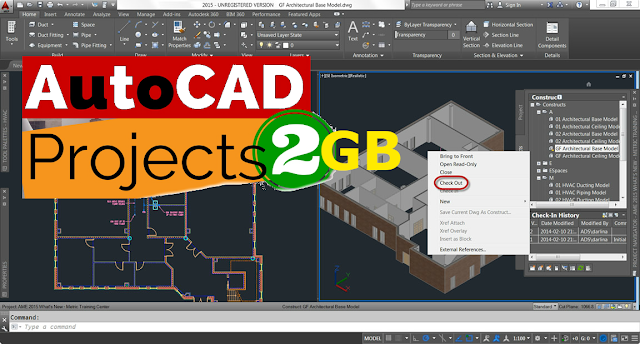 It is built into an AutoCAD file that contains a huge collection of all your Autocad models. On the link below. The file includes a large collection of engineering projects varied about 2GB area, which is a special files for the architectural section and another part of the special structural Reinforcement .